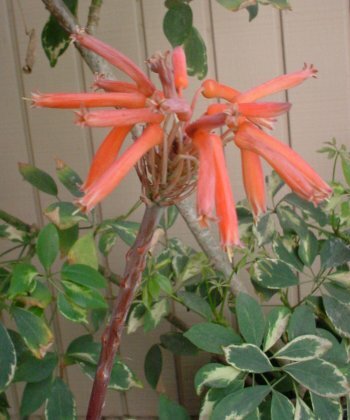 Two views of the Aloe Vera flower cluster on top of the stalk coming out of the plant. 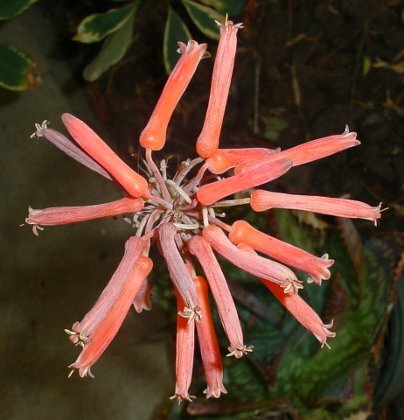 The stalk is about twenty inches long. 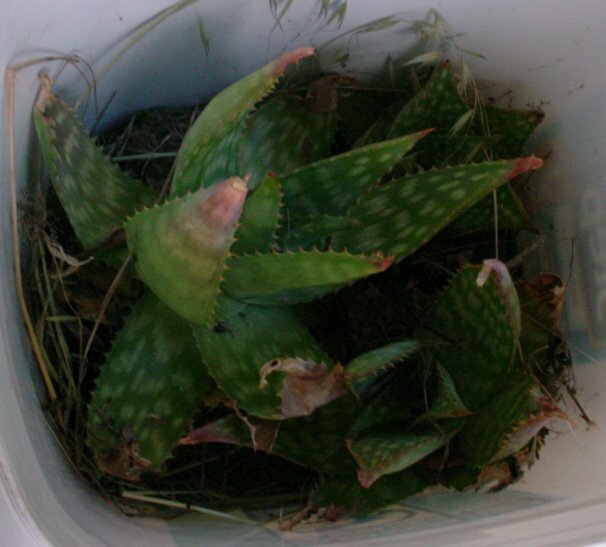 I gave away these baby aloe vera plants at the really free free market in San Jose. It felt like I was giving away kittens. 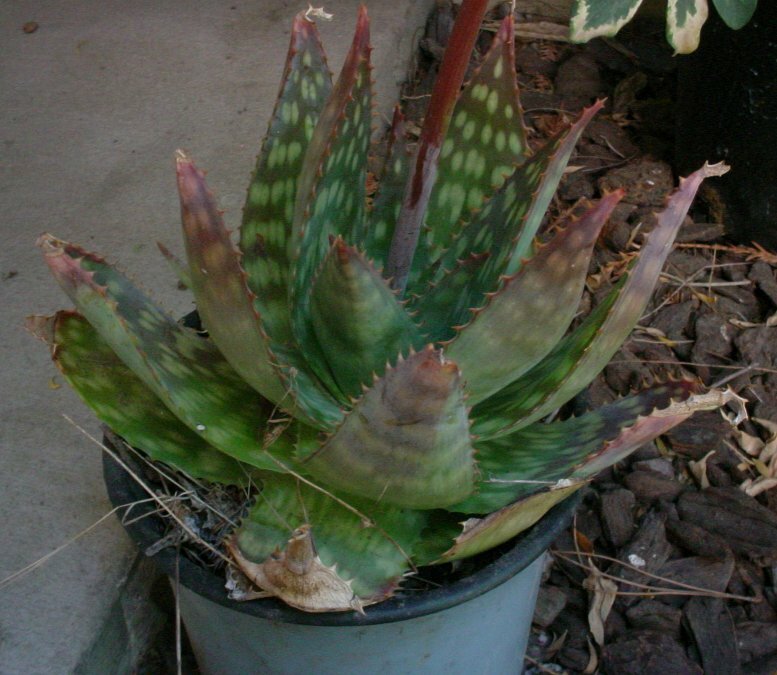 After thinking about these plants and noticing the aloe vera plants I see around, I've taken to telling people "Aloe vera plants thrive on pure neglect around here." They really do. A lot of sun, a little water every winter, and not too many tramping feet and they do great. After a few years in the same spot the spines become real weapons. I guess you could say they grow to be guard cacti. Also, more baby cacti grow around the mother plant, an asexual root and runner kind of reproduction like what blackberry vines do. I've seen them enough places, and people like the healing gel they put out enough, that I'm sure they will be growing around here for a long time to come.